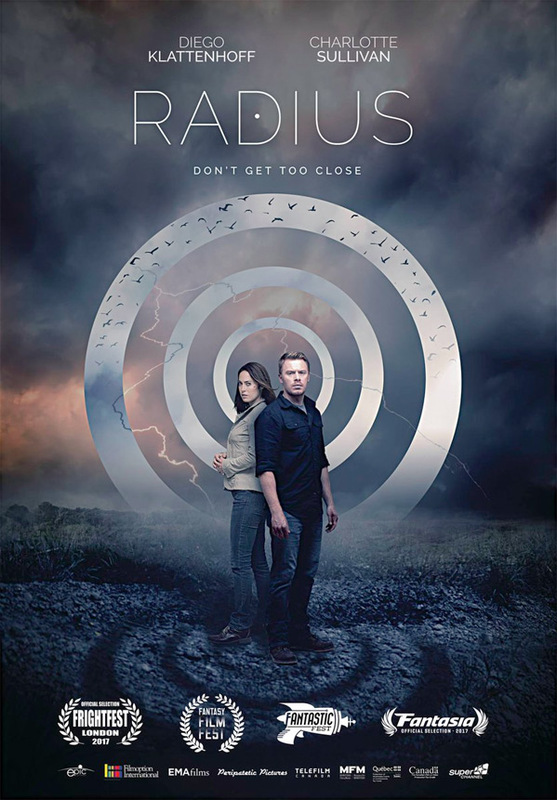 Epic Pictures Releasing has unveiled the trailer for a Canadian sci-fi thriller film titled Radius, which just played at Fantastic Fest and the Fantasia Film Festival this year. The concept for this film is pretty wild - a man wakes up from a car crash with no memory of who he is. He discovers that he has a dangerous power - anyone who comes within a 50-foot radius of him dies instantly. Yeah. How's that for a concept? Starring Diego Klattenhoff, along with Charlotte Sullivan, Brett Donahue, Bradley Sawatzky, and Nazariy Demkowicz. One of the quotes in this trailer compares this to Memento, where they have to go back and figure out what happened and what's going on, and how to stop this. I'm curious, seems like it could be cool. Liam wakes from a car crash with no memory of who he is. As he makes his way into town to look for help, he finds only dead bodies, all with strange pale eyes. Liam's first assessment is that a virus is present in the air, but he soon discovers the horrible truth: anyone who comes within a 50-foot radius of him dies instantly. Radius is co-directed by Quebecois filmmakers Caroline Labrèche & Steeve Léonard, both of the film Sans dessein previously. The screenplay is also written by Caroline Labrèche & Steeve Léonard. This first premiered at the Fantasia Film Festival, and also played at Fantastic Fest this year. Epic Pictures will release Radius in the US, but no official date is set yet. Stay tuned for more. What do you make of this?